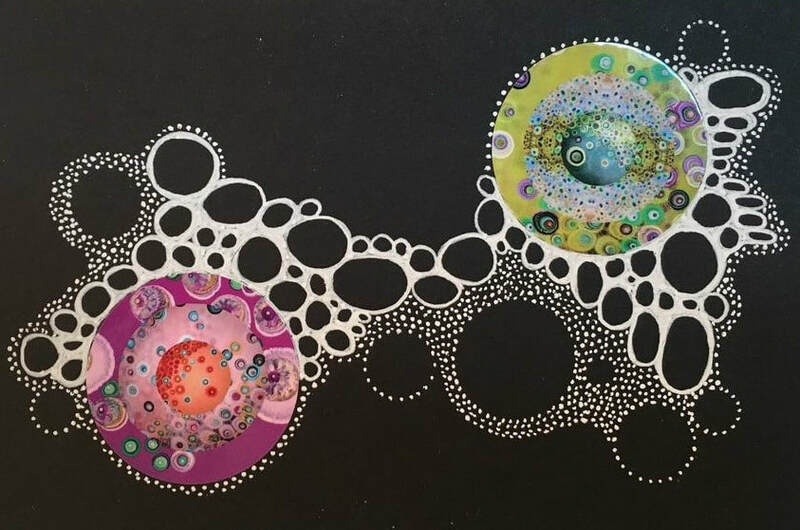 The paintings from my Unknown Species Series consist of concentric circular lines and colors that mimic pieces of agate, rings inside of trees, mold, other patterns in nature and most importantly microscopic cells. 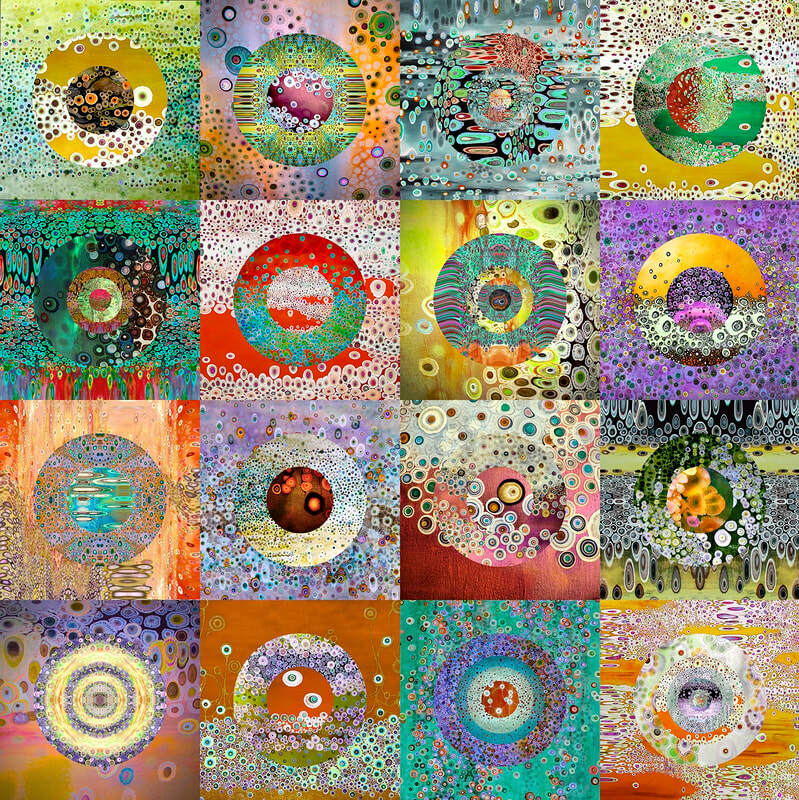 The cellular shapes in all my paintings, digital art, and sculptures that echo naturally occurring shapes provide the rhythms of life and existence. Ultimately, I strive for my work to be an expressive representation of nature’s beauty in its primary elements. Laura Gurton was born in Brooklyn, NY and studied Fine Arts at the School of Visual Arts. Recently, she has focused on painting and digital art and has exhibited her work locally, nationally, and internationally in the Venice Biennale and other art fairs in Europe.